With a view of Victoria Harbour as his backdrop, Stanley Wong sits with his hands clasped, talking emphatically with an intent gaze behind circular eyeglasses. Passionate, articulate, and candid, he admits to feeling frustrated with the city he has called home for his entire life. He is not alone. Sitting opposite is fellow design maven Alan Chan, who shares many of Wong’s concerns about Hong Kong. They aren’t just talking. 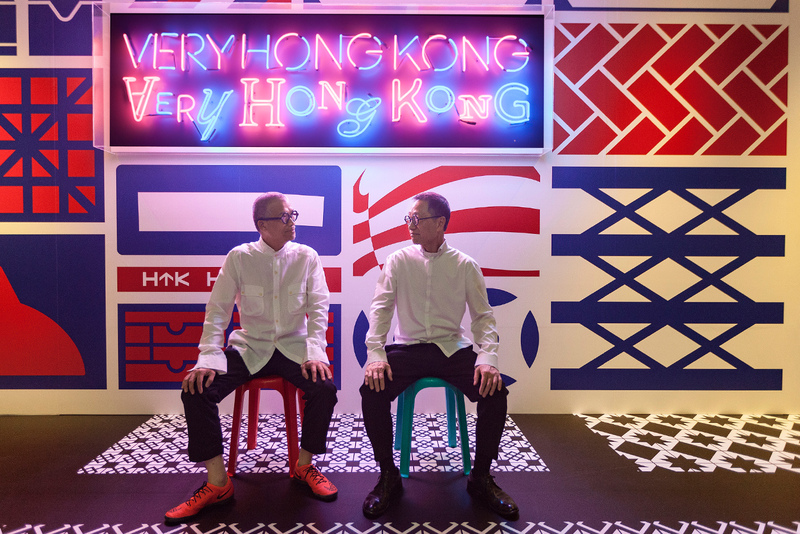 In a bid to spark conversation about Hong Kong’s creative trajectory, Wong and Chan have mounted Very Hong Kong Very Hong Kong, an exhibition that dives into the city’s cultural DNA. 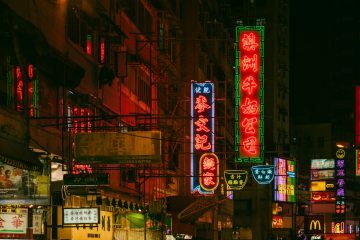 It’s the culmination of a two-year project that has scoured the city’s cultural heritage to understand what makes Hong Kong the city it is. Their ambition doesn’t stop there. The duo plans to use this exhibition as a springboard for a biennale that would be led by a different team of curators each time. Designer and new media artist Keith Lam, of art and technology initiative Dimension Plus, has been appointed as the next curator. Alan Chan says Hong Kong has a lot to be proud of in terms of its design history. “We want to show that we were good, and that we can still be good,” he says. From art and fashion, to music, design, toys and comics, the exhibit aims at showing Hongkongers what they have been able to produce given the right focus, attitude and atmosphere. There are some obvious points of pride in the roster of cultural icons, products and legends showcased by the exhibition. Hong Kong’s music hall of fame is well represented, with Cantopop godfather Sam Hui given the requisite homage alongside other household names, each contributing their own part to the fabric of the city’s cultural history. 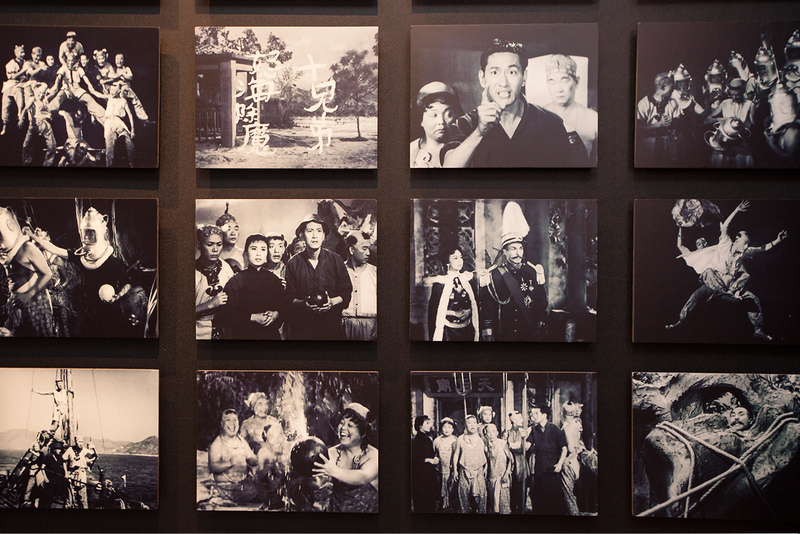 Hong Kong’s film history — once a powerful cultural force around the world — is well represented. Wong Kar-wai’s poetic and irreplaceable oeuvre is naturally present, as are the films of Ann Hui, Stephen Chow and Fruit Chan, each one helping to pinpoint the zeitgeist of various moments in history. Fashion designers are credited for their creative adventures that pioneered a blending of Asian and Western aesthetics and silhouettes. Joyce Ma’s retail empire is featured, alongside Blanc de Chine, a collection that infused Taoist philosophies into clothing, as well as David Sheekwan, one of Hong Kong’s first fashion designers. 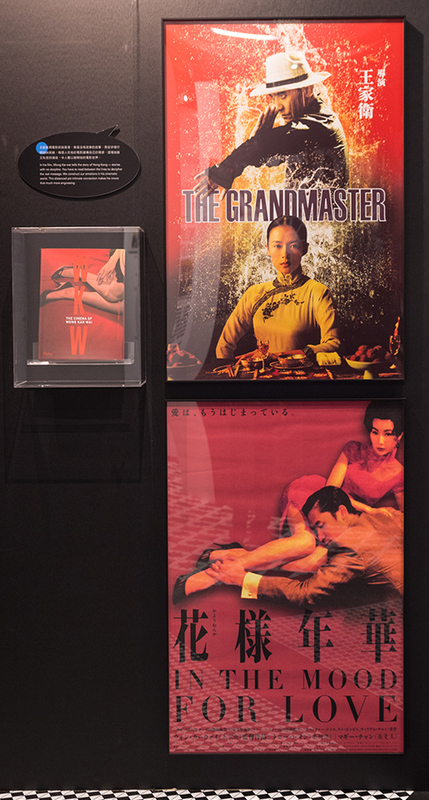 While the show’s emphasis is on Hong Kong in the 1970s, 80s and 90s, elements from more recent history are worked in. Among them is music festival Clockenflap, featured for being a crucial part of a push to diversify the city’s live concert offerings, and provide a platform for more niche tastes. Some of Hong Kong’s most recent films are mentioned, including Mad World and Love in a Puff, doing away with the idea that Hong Kong’s best years of films are behind it. The exhibition is not just about the glitziest or most conspicuous markers of local culture. Throughout the show are displays of more inconspicuous elements particular to the city. There are cheap toys and functional objects that speak to the entrepreneurial and inventive spirit of grassroots Hong Kong. 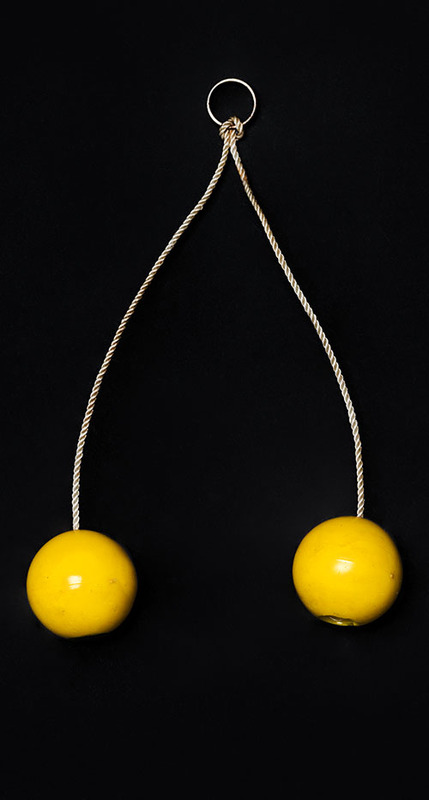 Wong says one of his favourite toys is the clacker, which consists of two wooden balls tied together with string, which the owner swings repeated, making a clacking sound. 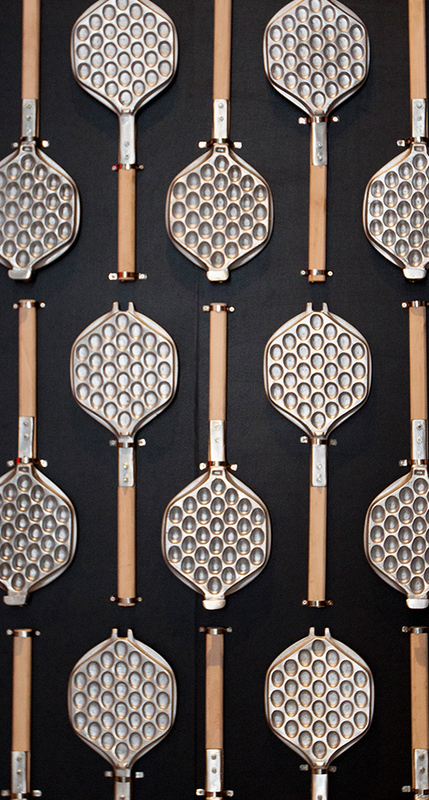 He admits that tracking down the inventor of the toy — or even confirming whether it is a Hong Kong invention — proved impossible. But this simple and inexpensive toy was ubiquitous when Wong and his peers were young, earning status as a piece of Hong Kong’s heritage. 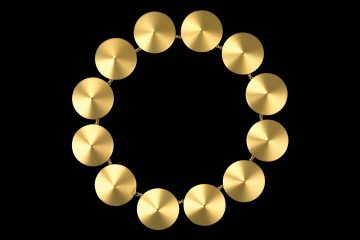 What he likes about it is its simplicity and functionality, a strong example of a piece of design that works so effortlessly that it comes to be taken for granted. 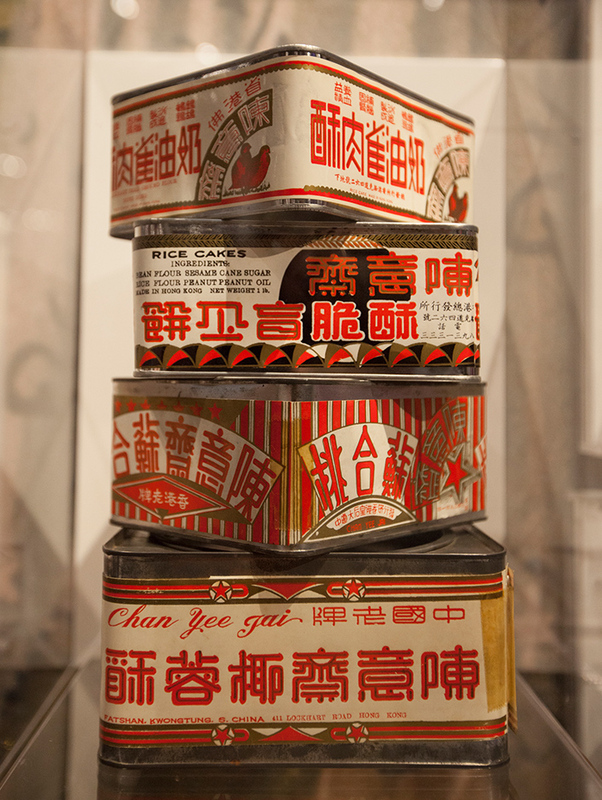 Like Chan, Wong’s deep respect for the innovations and contributions of Hongkongers at the time that saw its economic rise, from the 1950s onwards, has driven his commitment to the exhibition. 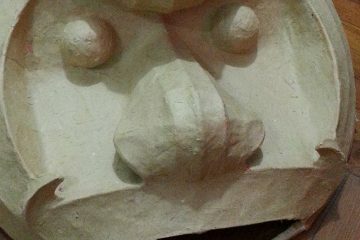 This is an outlook that also is finding expression in his own work. 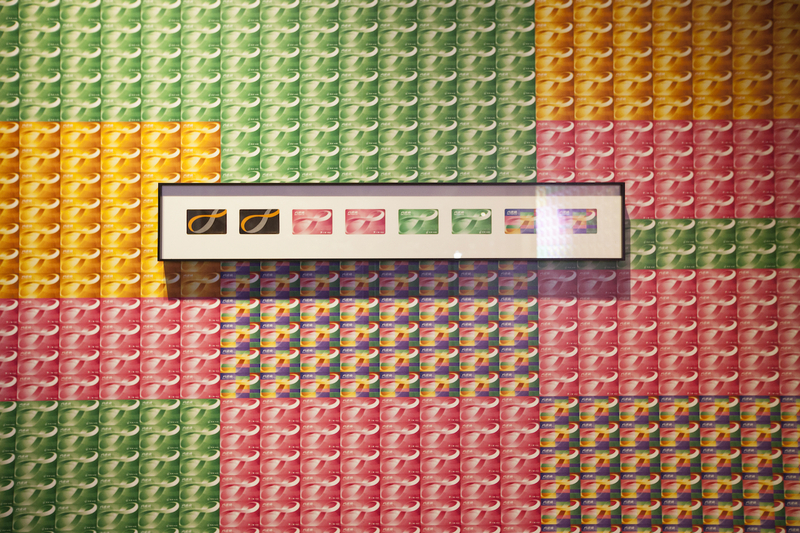 Now in his 50s, the polymath started his career in graphic design and advertising, rising quickly at a time in which Hong Kong service industries flourished. The 1980s was the golden era for Hong Kong culture, with pop, fashion and design thriving amid a booming economy. Wong’s success mirrored that of Hong Kong’s, which continued to grow through the 1990s, a time when Hong Kong was eager to embrace new technology. The Octopus card, the world’s first form of contactless payment on public transport, was introduced in 1997. At the time, Wong created an alter ego for himself, Anothermountainman, through which he started to work on independent projects as an artist. 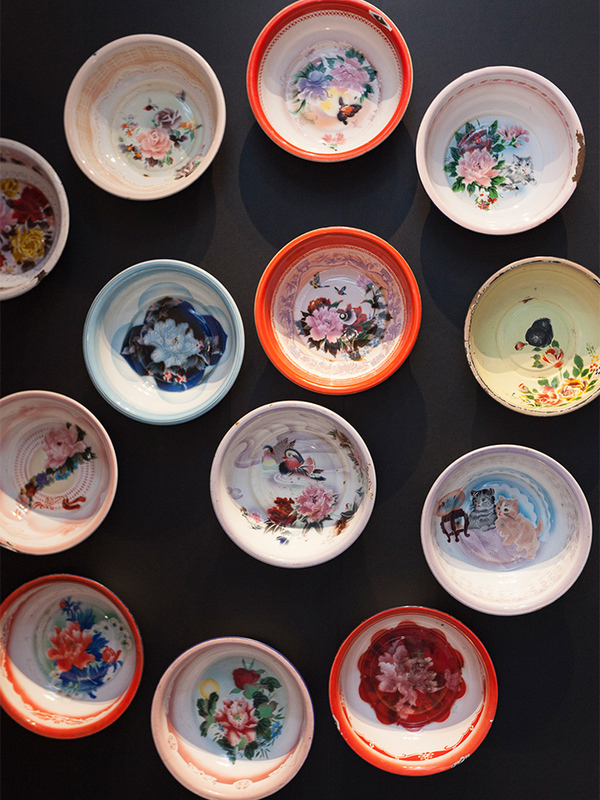 Among them are his three-colours series, which is featured in Very Hong Kong Very Hong Kong, has garnered acclaim within and outside the city. 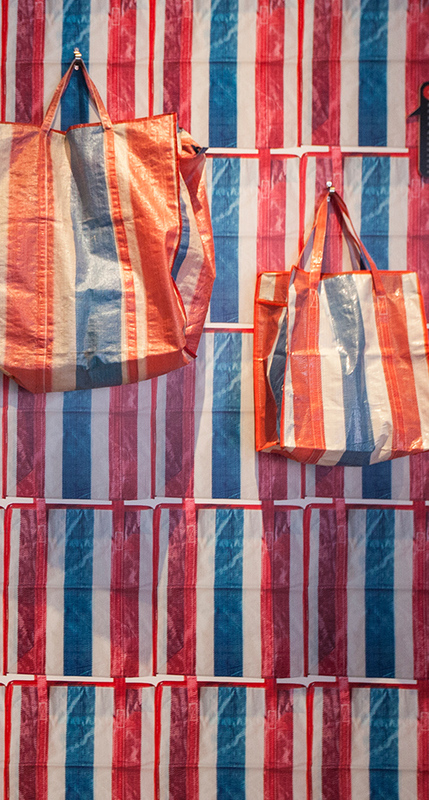 This series draws from the red, white and blue colours of the humble plastic canvas bag that enjoys cultural significance owing to its long prevalence in the city. Originating from 1970s and 80s, it was the brainchild of Sham Shui Po resident Lee Wah, who though to use the Japanese material, already used to shield buildings from heavy rain, as big, sturdy bags. 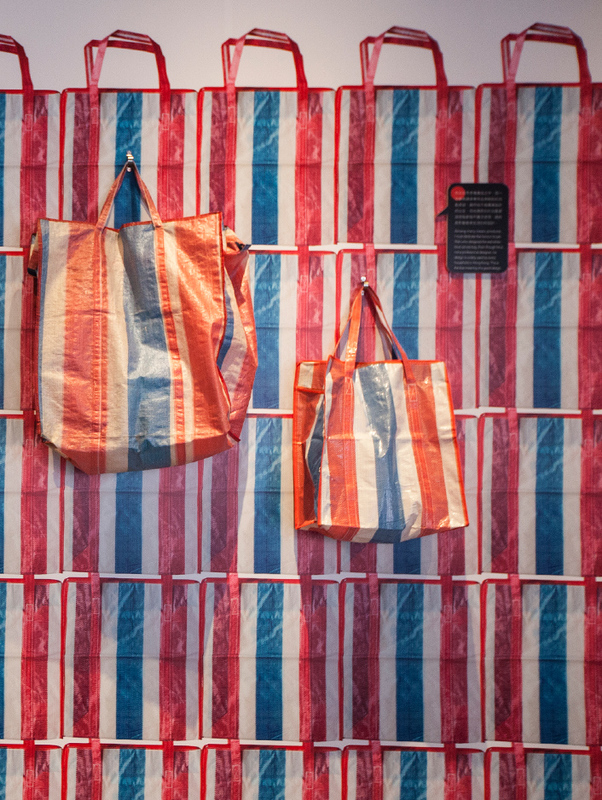 Owing to their durability and simplicity, they have come to serve as symbols for Hong Kong society, especially as they were often the bags of choice used to carry goods to mainland relatives during the economic boom. 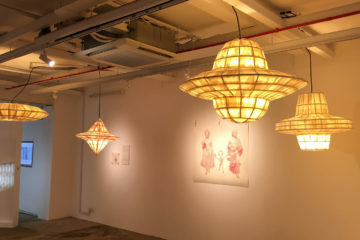 In his art, Wong rejuvenates the emblem in various ways: he created an enduring image that draws upon Hong Kong’s unique aesthetic to garner interest abroad. “When I first started working on the red white and blue, a lot of people told me I was wasting my time,” says Wong. But the projects were showcased at the Venice Biennale, proving that humble elements of Hong Kong could pique the interest of international audiences. 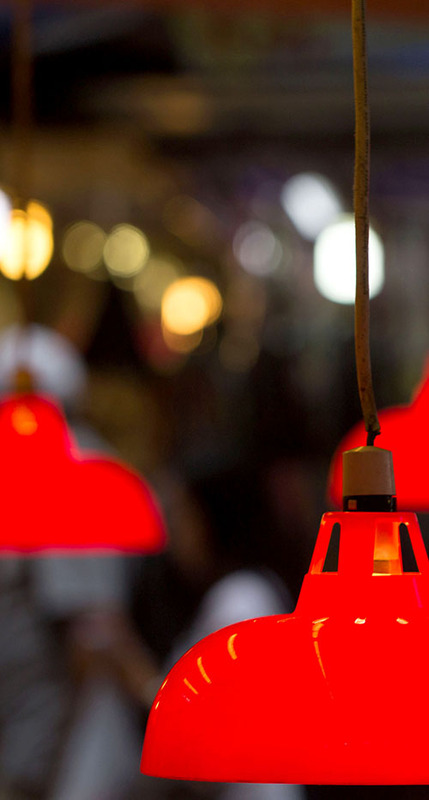 Wong believes that kind of approach is crucial to the future of Hong Kong design. Although many Hong Kong designers have achieved international prominence, there is often little Hong Kong flavour to their work. “It’s important to find our uniqueness, and to utilise it,” says Alan Chan. Both he and Wong think it is important for new designers to mine their own heritage and local identity for ideas and references points, while aiming at global markets. 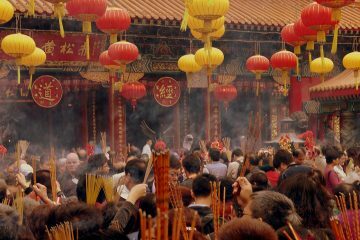 This is a difficult pursuit anywhere, especially in this globalised world of porous borders, but Hong Kong’s history as a British colonial enclave now existing under China’s umbrella make questions of identity all the more complex. 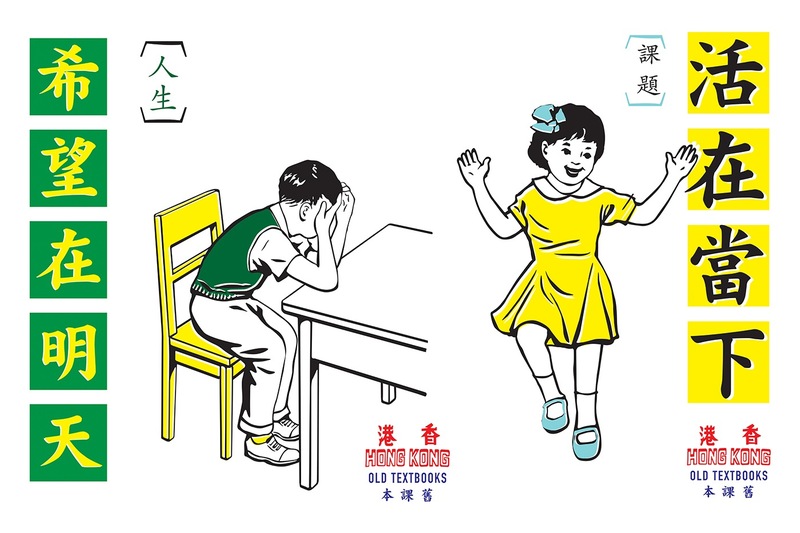 Re-examining what it means to be a Hongkonger, with a view of its past, and with a cautious eye on the future, is pertinent in all fields, creative or otherwise. These concerns come at a time in which the cultural atmosphere is quite different from how it was in the hopeful boom years of creative excitement and growth. “Hong Kong has lost its momentum, its focus,” laments Wong. Perhaps his sentiment reflects Hong Kong’s generational gap. Young Hongkongers struggle to claw a path for themselves in a city burdened by monopolies and an ever-widening pay gap. 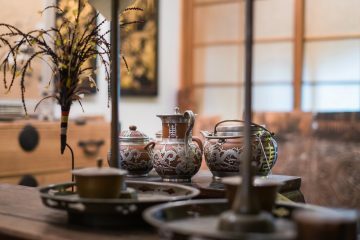 Feeling unheard and under-supported, many struggle to see the connections between themselves and the dazzling world of design represented by Chan and Wong. These issues might have come into play when the pair approached young student designers to help with putting together the exhibit. In a bid to canvas viewpoints on what young people believed to be the most important relics of local culture, they approached 100 students at a design school here. Only one offered their perspective. “We were saddened by that,” says Chan. While it might have been the case that the younger generation weren’t all that enthused about taking part in the planning stage of the event, on the eve of the opening, members of the Hong Kong public of all ages showed up and appeared engaged in and curious about their history. Interesting to note is that much of what is featured required extensive research and digging – a lot of the city’s cultural history has not yet entered official records or archives. There’s a need to create initiatives like this one, and hopefully that role won’t simply be confined to people of Wong and Chan’s generations (they are a decade apart in age) – and can be passed down to younger Hongkongers. For Chan and Wong, helping record Hong Kong’s design history comes hand in hand with pushing design and arts as a top priority of the future. They believe this is a matter of urgency – that Hong Kong’s future lies in the art and design world more than any other industry. They believe that the adaptable city, that started its days as small entrepot, to transform into a bustling financial hub, must take its next steps as cultural capital for Asia and indeed the world – and that this is how it might survive as the industries on which it has previously relied shrink and suffer thanks to increasing competition across Asia’s rising economies. Hong Kong’s creative sphere is where they see hope, buoyed by the success of Art Basel and the much anticipated opening of the West Kowloon Cultural District. For them, what makes Hong Kong competitive in this industry is the uniqueness of its cosmopolitan heritage. That’s an asset that fuels creativity and sophisticated design, they believe – and is something that takes more than money to grow. Very Hong Kong Very Hong Kong runs from August 6 to August 17 at the City Hall and from August 17 to 29 at Comix Home Base. Click here for more information. Very Hong Kong Very Hong Kong digs into the roots of Hong Kong culture and design, laying the groundwork for a future biennale.